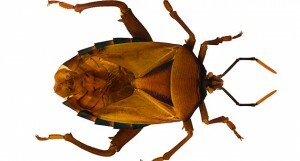 Adult bed bugs are reddish/brown in color and they appear to be flat. They feed off of the blood of warm blooded animals. These bugs don’t have wings and they are very tiny. Although they can be viewed by the naked eye, they often go unseen due to they’re hiding spots. Bed bugs hide within beds and feed on humans at night while they sleep. Their average lifespan is around 12 to 18 months. When they bite, you’ll end up getting a red swollen mark that will become itchy a few hours after they have fed. When they’re done eating, they retreat to a hiding place within your room. Their most common hiding places tend to be in between crevices, mattresses, within the bed frame and even behind wallpaper. Bed bugs can prove to be a huge nuisance for health and lifestyle reasons in your home or business. Where Are They Usually Found? Our technicians find bed bug infestations within places like couches, soft furniture, and beds. Over the years, alarming reports have suggested an enormous increase of infestations throughout hotels, motels, homeless shelters, and people’s homes. How Do I know If I’ve Been Bit? If you have a bed bug problem, while you sleep they will feed. Most people are clueless about this because they can’t feel the bite. However, if you are repeatedly bitten night after night, your body will develop an allergic reaction. Depending on the person, the reaction could be mild or severe. Some people end up with raised, itchy welts all over their body, while others may just have whitish, pinkish bumps within specific areas. How Can I Spot An Infestation? Bed bug feces comes out in a semi-liquid form that is easily seen from your mattress. How Do You Remove Bed Bugs? Just like our other pest control services, we use a variety of unique tools and methods in order to remove your bug problem. These include chemical spraying, mattress encasement installations, vaccuuming, and steam cleaning. Spraying: We use powerful, industrial insecticides and spray each room or area where you may have an infestation. Vacuuming: We vacuum all around your bed in order to remove dirt, dust, lint and other particles. Steam Cleaning: Our technicians will steam clean your mattress, box spring, bed frame and head board in a non-toxic way. Steam has been proven to help eradicate bed bugs. Mattress Encasement: Bed bugs need oxygen to survive. After we have installed a mattress encasement, they are no longer able to breathe. We can work to protect you from future infestations and bites. Bites usually occur throughout the body on your face, legs, arms and hands. You will notice large welts in around around the same areas. If you have a bed bug problem, your going to need serious help in removing them. United exterminators specializes in removing bed bugs from homes, apartments, condos, brownstones, nursing homes, hotels, motels and much more. 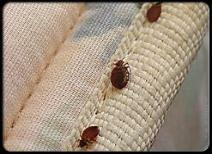 We have a combination of industry recognized procedures we utilize remove bed bugs. If you have a problem, feel free to give us a call or fill out the contact form. You’ll be able to speak with a licensed &amp; insured bed bug expert as quickly as possible!